You are a Badass In this refreshingly entertaining how-to guide, bestselling author and world-traveling success coach, Jen Sincero, serves up 27 bitesized chapters full of hilariously inspiring stories, sage advice, easy exercises, and the occasional swear word, helping you to: Identify and change the self-sabotaging beliefs and behaviors that stop you from getting what you want, Create a life you totally love. And create it NOW, Make some damn money already. The kind you’ve never made before. 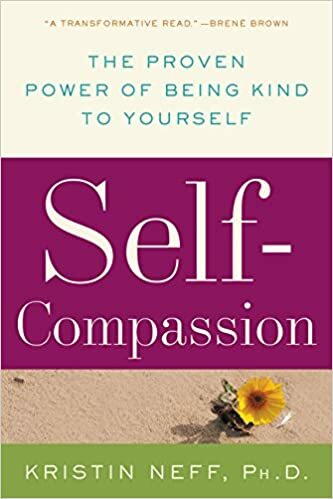 Kristin Neff, Ph.D., says that it’s time to “stop beating yourself up and leave insecurity behind.” Self-Compassion: Stop Beating Yourself Up and Leave Insecurity Behind offers expert advice on how to limit self-criticism and offset its negative effects, enabling you to achieve your highest potential and a more contented, fulfilled life. Dr. Neff’s extraordinary book offers exercises and action plans for dealing with every emotionally debilitating struggle, be it parenting, weight loss, or any of the numerous trials of everyday living. On its tenth anniversary, this parenting classic returns with fresh, up-to-date information to offer you workable ideas for developing a trusting relationship with children, as well as the skills to implement discipline to help your child become a responsible adult. You’ll discover how to instill character-building values and traits in your child that last a lifetime. Peaceful Piggy Meditation Sometimes life seems like it’s all about hurrying–so many places to go! And sometimes it’s hard when things don’t go your way–it can make a piggy angry and sad. So how do young piggies find a peaceful place in a frustrating world? They meditate! This book guides children through a peaceful meditation process for stress release and relaxation. Based on twelve years of pioneering research, Dr. Brené Brown dispels the cultural myth that vulnerability is weakness and argues that it is, in truth, our most accurate measure of courage. Whether it’s a new relationship, an important meeting, the creative process, or a difficult family conversation. Daring Greatly is a practice and a powerful new vision for letting ourselves be seen. The Art Therapy Colouring Book (Art Therapy Series) Readers can start to relax with this sophisticated anti-stress coloring, doodling and drawing book. From creating free-flowing lines and swirls to shading in intricate patterns, every illustration in this book has been carefully crafted so that even amateur artists can enjoy the satisfaction of creating something of exceptional beauty. The Happiness Advantage: The Seven Principles of Positive Psychology That Fuel Success and Performance at Work Conventional wisdom holds that if we work hard we will be more successful, and if we are more successful, then we’ll be happy. But recent discoveries in the field of positive psychology have shown that this formula is actually backward: Happiness fuels success, not the other way around. When we are positive, our brains become more engaged, creative, motivated, energetic, resilient, and productive at work. This book explains how we can reprogram our brains to become more positive in order to gain a competitive edge at work.